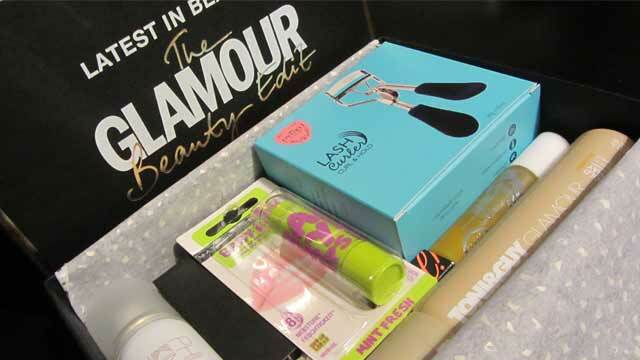 How excited was I when I opened the Latest in Beauty- The Glamour Beauty Edit beauty box? If the box is this glamorous I knew I would definitely like the contents! This box is packed full of treats, and all for £15 (plus P&P). It was incredibly neatly packaged and arrived sooner than expected. When I first opened the box I was met with a menu and beauty offers for Benefit, HD Brows, Philip Kingsley and Balance Me. I think I might just use them! HD Brows eye and brow palette in Foxy. This is aimed at brunettes but there are 4 shades – 1 highlighters and three browns. One will definitely suit me and the others I’m guessing will work on lighter hair. Maybelline Baby Lips – the green one in Mint Fresh. I’m particularly happy with this one as my favourite colour is green and it is not tinted which is what I wanted. Benefit They’re Real Mascara sample – I’ve heard so much about this and now I can finally try it! Eyeko Lash Curlers – I don’t use lash curlers because they scare me but I’ll definitely give these a go! Philip Kingsley One More Day – dry shampoo – will be interesting to compare to another one I have tried. Full reviews will follow although I’m conscious I owe you a few creative looks rather than more reviews! I stick the hair products on my hair blog and the skin products on http://skinbytashasface.wordpress.com/. This is an amazing box of goodies! 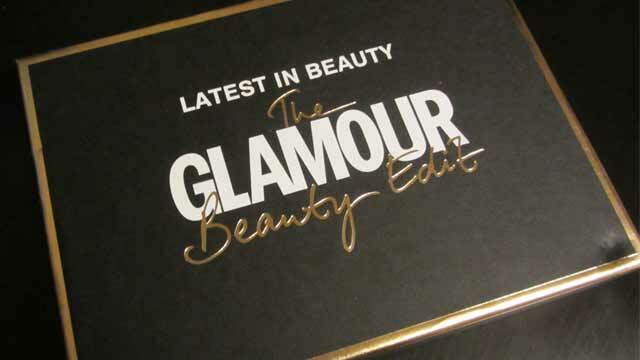 Latest in Beauty- The Glamour Beauty Edit – Perfectly Packaged! Latest in Beauty- The Glamour Beauty Edit – after I got to it! Ahh I’m so jealous! Looks like Christmas has come early for you!